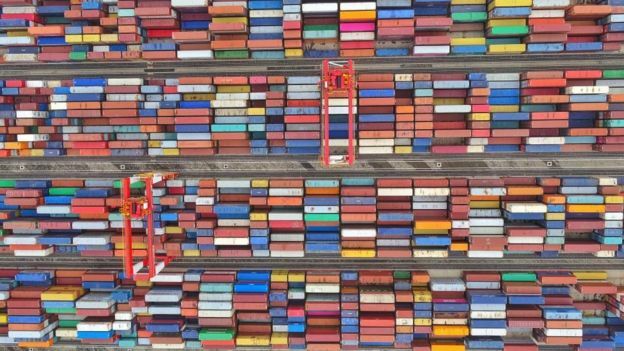 A UN trade official has warned a US plan to raise tariffs on Chinese goods next month would have "massive" implications for the global economy. Unctad's report estimates that east Asian producers will be hit the hardest, with a projected $160bn contraction in the region's exports. "There'll be currency wars and devaluation, stagflation leading to job losses and higher unemployment and more importantly, the possibility of a contagion effect, or what we call a reactionary effect, leading to a cascade of other trade distortionary measures," Ms Coke-Hamilton said. Of the approximately $85bn in US exports that are subject to China's tariffs, only about 5% will be taken up by Chinese firms, the UN research shows.